Having a great Monday so far? I had a quiet weekend, in lieu of preparing for the festivities that are coming this week. I got my tires changed, which put a big dent into my spending money for the month. I wanted to partake in some of the Black Friday sales but now I'm going to have to be more frugal on my expenditures. Safety first I guess! I'd been wanting to try Sephora+Pantone Universe for some time now, and when I noticed two of the colors were on sale during the last VIB sale, I snatched them up. I really love the vibrant colors and square shaped bottles, and with this purchase I'm hoping the formula is up to par. The first I have for you is Purple Wine, a gorgeous shimmer that isn't quite purple but rather fuchsia. It's got some blue microshimmer within that gives it a hint of purple. I found the formula easy to work with and used two coats here for full opacity. I didn't have nearly as many brushstrokes as I feared, but it did dry a to a satin finish so I used topcoat to add some shine. Next I have Antiqued Gold, a metallic gold with green duochrome shift. 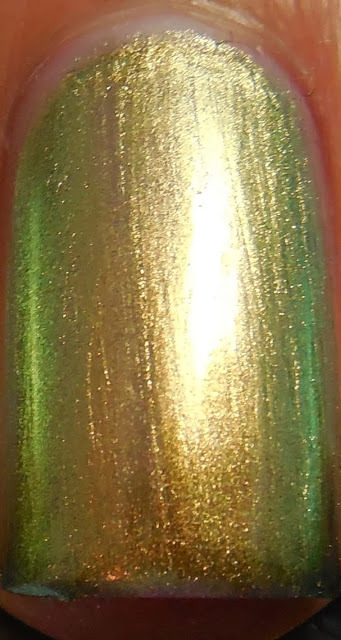 I have to admit, I wasn't very interested in this color because it reminded me of the multiple Chanel Peridot dupes, but boy was I wrong. After swatching this, I couldn't bring myself to remove it. It definitely leans more gold, but the green shift is strong and almost turns teal in some lights. What I love about it is the strong metallic finish - it has a near chrome look to it when dried. I used three coats here for good measure, and it dried to a satin finish similar to Purple Wine. I chose not to use topcoat in these pics. I don't own any true chrome finish polishes so I'm stoked that this made it into my shopping basket at Sephora. If you're interested, they're both still available in the sale section last I checked. I'm glad it's a little different from Peridot(I think), if anything, it's a more vivid version of it. I really liked Purple Wine as well, the blue shimmer is fairly strong and gives the bright fuchsia eye appeal. I like these both so much that I've got my eye on the new releases.... have you tried any of the Sephora+Pantone Universe polishes yet? 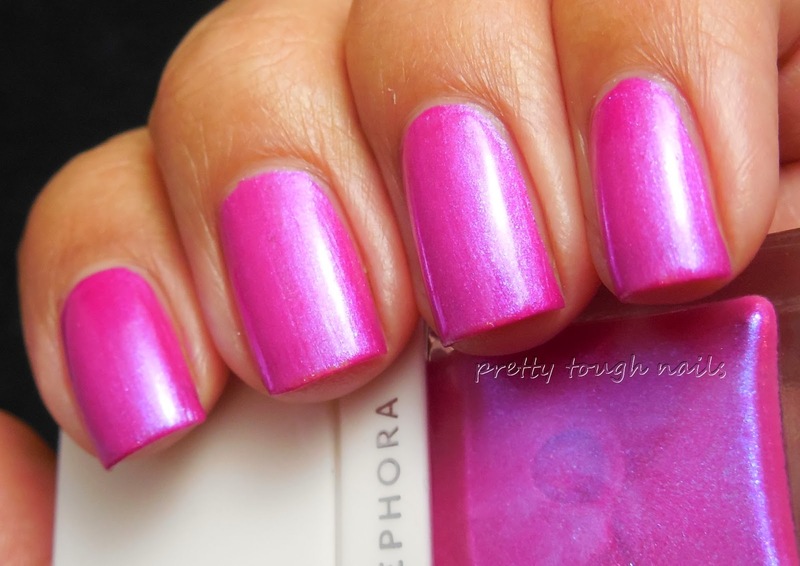 Have you ever been pleasantly surprised by a polish that you thought would be a dud? 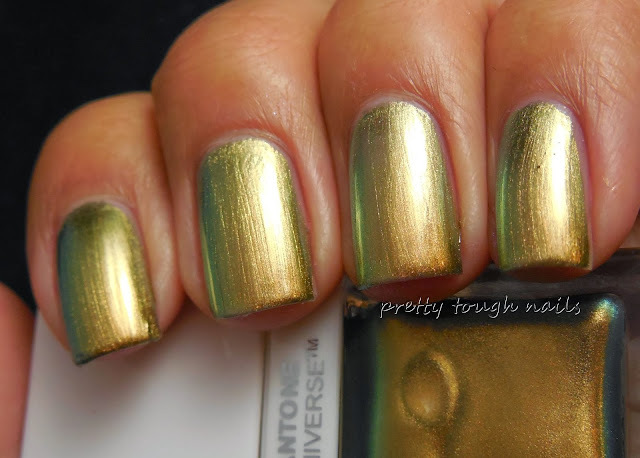 I've wondered about those Pantone Universe polishes too so I'm glad to see them here looking so flipping fabulous on your kitten claws! 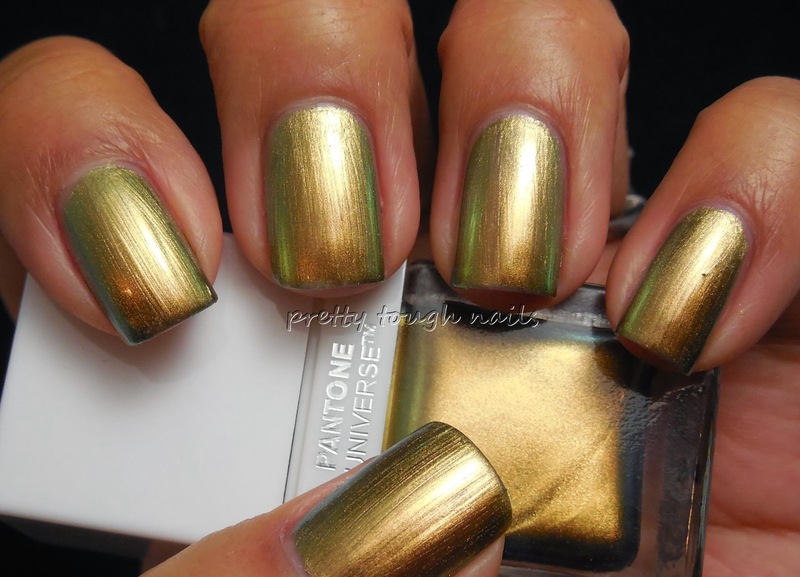 That Antiqued Gold has an extraordinarily powerful look to it, awesome! Did it make you feel strong and mighty?